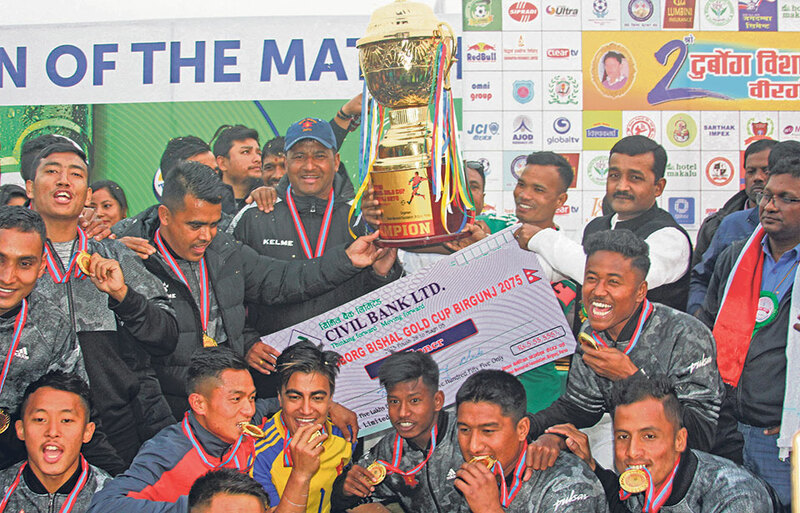 BIRGUNJ, Jan 20: The defending champion of the first edition of the Tuborg Bishal Memorial Gold Cup football tournament, the departmental team Tribhuvan Army Club, has defended its title with a 2-1 sudden-death win over Himalayan Sherpa Club in Birgunj on Saturday. After the game was held at 1-1 at the end of the regulation time, the match was pushed into the tie-breaker. But, after both the teams scored four goals each in the tiebreaker, the game went to the sudden-death. 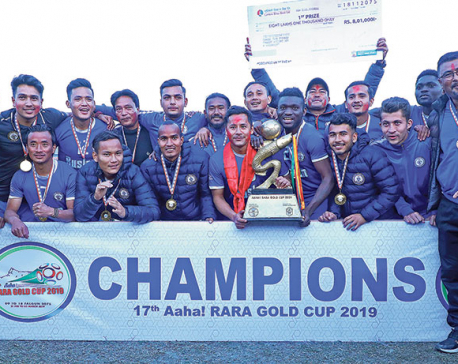 Army won the final after Aashish Gurung’s spot kick was brilliantly saved by Army keeper Bikesh Kuthu to win the game 2-1. In the sudden-death, Army’s Tek Bahadur Budathoki and keeper Kuthu scored for the team. Only Bishan Gurung scored for Himalayan Sherpa. 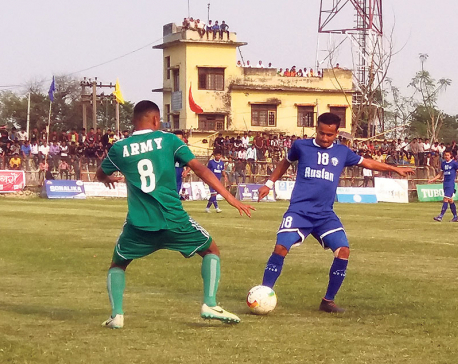 Earlier, in the tie-breaker, captain Bharat Khawas, Santosh Tamang, Deep Lama and Bibek Basnet scored for Army, while Bijay Shrestha, Urich Sibe, Bishwas Shrestha and Bikash Tamang scored for the losing side. With the title win, Army took home a cash prize of Rs 555,555, and the runner-up Himalayan Sherpa was rewarded with Rs 277,777. In the individual category, Himalayan Sherpa forward Bishwas Shrestha was named the best player of the tournament and was given a Suzuki 155 Gixxer bike. 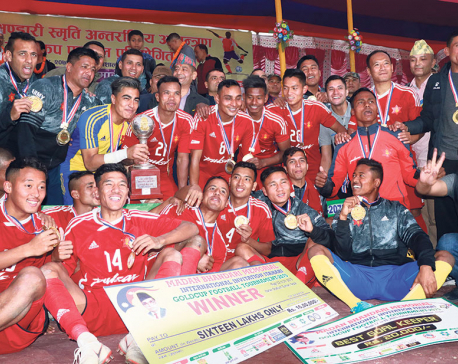 A total of eight teams from Nepal and India participated in the tournament that started from January 12.